A maturity test written in Exam application is assessed by the thesis tutor. The language is evaluated by the language teacher. He or she is, in Exam, an evaluator. There are three main phases in the assessment of the maturity test. Phase 1: The thesis tutor receives the maturity test, assess the content and sends it to the language teacher (evaluator). Phase 2: The language teacher evaluates the language of the maturity test, gives, if necessary, feedback to the student, and returns the maturity test back to the thesis tutor. Phase 3: The thesis tutor assess the whole exam, finalizes the assessment, gives feedback if needed and informs the student. If the maturity test is abandoned due to it’s content, as an examiner, write the reason in the Feedback to the student -field and pick Not approved in the Exam grade -field. 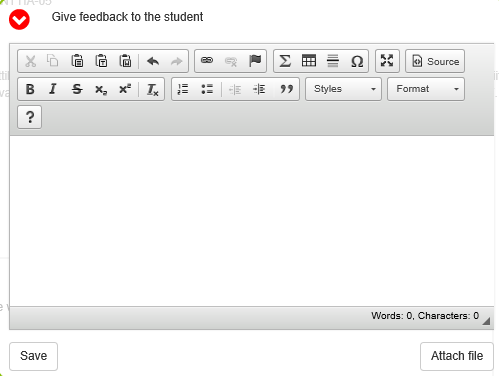 Click Save-button, and click Lock the assessment and inform the student -button. The student will get a completion email automatically from the Exam-application. The student will see the assessment after log in Exam. The examiner creates a resit exam by copying a new maturity test. In the Exams-view, find the particular maturity test exam. Click the copy-icon. Part of the basic information is now ready in your resit exam. Change the name of the exam by adding ”Re-Exam” to the beginning of the exam name. Fill in the rest of the basic information: the exam period, add the course, add an evaluator and other information. Click Save and publish -button. Invite the student to make a new booking for this re-exam. In the future, invite all the repeaters to book this newly created re-exam. After you have assessed the content of the maturity test (phase 1), write the message to the language evaluator ”Content OK” (etc.) and click Send-button. Now is the language teacher’s turn to evaluate the maturity test. Log in to Exam and find the maturity test to evaluate on the Exam dashboard. Click the exam in the Exam name colum, the maturity test (docx) opens. After reading the answer, make a mark in the Assessment status -field (See phase 2 in the last but one picture above). Do not make any other endorsements. Finally, if nesessary, write an email to the other evaluators (=examiners, thesis tutors) ”Language OK” and click Send. After this the assessment can not be changed. Finally, submit the grading information to the study services by email, or, as agreed in your school. From Exam-application the grading information does not automatically switch to the ASIO-study registration.